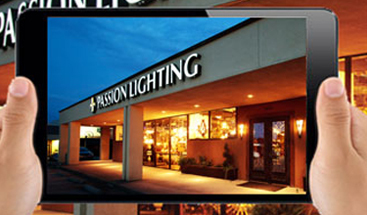 The lighting industry is always coming up with new and exciting things every year, and at Passion Lighting in Grapevine, we’re always excited to see what debuts each time. 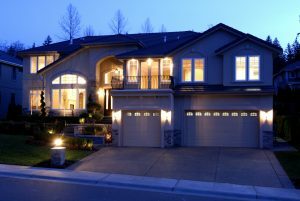 When it comes to outdoor and landscape lighting, there are always new ways to integrate illumination into your exterior architecture, and our team is always staying up-to-date on fixtures, installation techniques, and more. If you’re looking for new outside lights for your home in the Dallas/Fort Worth area, stop by our showroom today! Most modern homes have white or yellow lights illuminating their exterior, but new filters and bulbs can incorporate new colors into your landscape lighting. A red filter on a fixture that’s focused on a certain piece of shrubbery can add a dramatic effect as people approach the house. Cooler filters such as blues or greens can create a more intimate, soothing atmosphere around your outdoor seating or dining area. There are a number of available options, and our lighting team can help you choose the best ones. If you have a large outdoor area and want a statement fixture that centers the space, it’s important to pick one that matches the style and decor of your home’s exterior. An ornate or elaborate fixture in the middle of a sleek and minimalist space can feel out of place, and can detract from the appeal of your outdoor area. There are ways to tweak the rules of lighting and design to make any fixture work in any space, but there are some styles that won’t fit as well as others. Our staff can discuss the best options for your home. 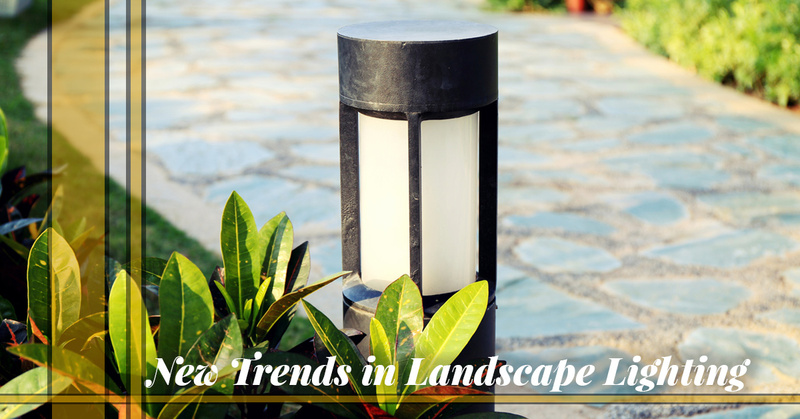 Find Your New Landscape Lighting! 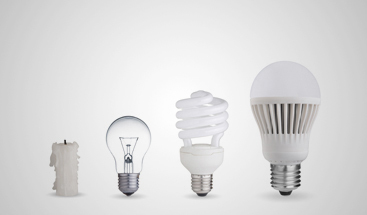 Landscape lighting has been trending towards better energy efficiency for several years now, and the advent of outdoor LED lighting has greatly benefited its progress. Homeowners are incorporating more lighting into their outdoor spaces, creating more areas for dining and entertaining, and truly extending their living space from the inside to the outside. Small LED lights grouped together can add depth to certain areas of your landscaping or accent an architectural feature such as a retaining wall or set of steps. 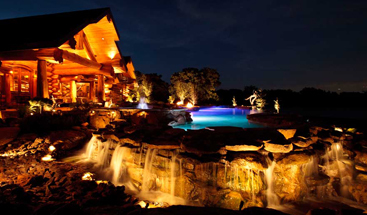 Speaking of architecture, more people are including lighting in the stone and wood materials they use to build new outdoor structures, and the fixtures play an integral part in the design of each project. When adding new landscape and outdoor lighting, you don’t want to overdo it and end up illuminating more of your home’s exterior than is necessary. Whether you’re adding lights to outdoor stairs, along columns, or in your garden beds, you’ll want to find a balance between light and dark to maintain the dramatic effect you want. Exterior lighting is important for both ambiance and security, and the right balance will provide you with both. When you’re shopping for new landscape light fixtures, or you’re designing a new outdoor space and you want to incorporate the latest lighting trends and technologies, come to Passion in Grapevine right away. Our experienced staff can help you choose the best fixtures and also provide expert installation services.